Decided to make something today to try and use up some of the extra sourdough I have hanging around. So I hunted around and came across this recipe from Mike Avery’s SourdoughHome.com website. We’re probably all familiar with English Muffins, whether bought from the bread shelf at the local grocery or, if you’re lucky, home made. And one of the big calling cards to an english muffin is the texture and the “nooks and crannies” you get by spitting them with a fork and toasting, then those little peaks and valleys crisp right up and manage to hold on to way more butter and/or jam. Well, this isn’t like that. 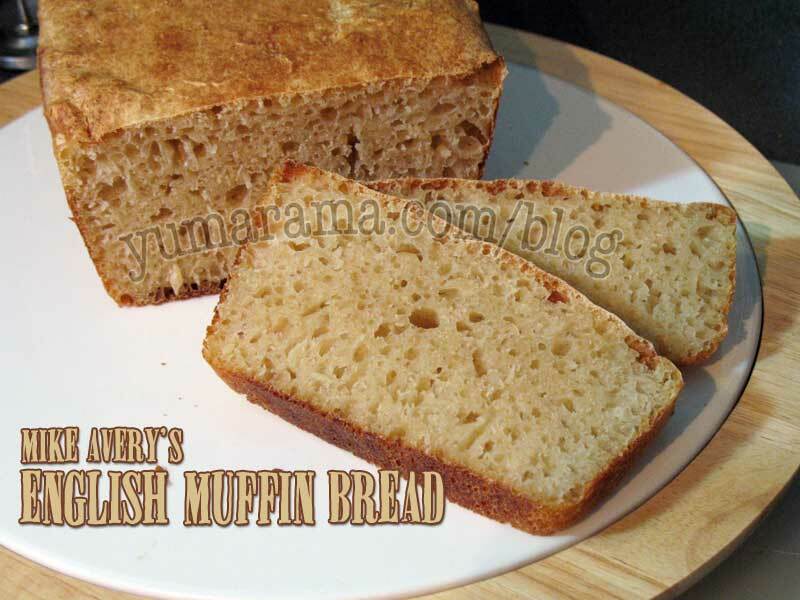 But it’s close: instead of being individual rounds of bread cooked up on a griddle (yes, the “normal” english muffin is cooked on a stovetop, not baked) this one is formed into a loaf and baked, then sliced. Just like regular loaf bread. We’ll discuss the taste and texture at the end. So let’s get our ingredients out and mix us up a batch. As you can see, the ingredient list is rather short. This is really a pretty easy bread to make. A fair bit easier than the single round sort. Follow along and see if this sounds simple enough to make a batch every now and then. So above, we have water, sourdough (about 540 grams so make sure you build up your Mother ahead of time), All Purpose flour (not bread flour), powdered milk, sugar, salt and 1/4 teaspoon baking soda dissolved in 2 tablespoons of water. 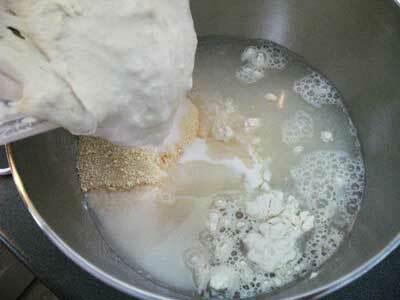 Step one: put all your dry ingredients in the mixing bowl, add water, sourdough and mix. 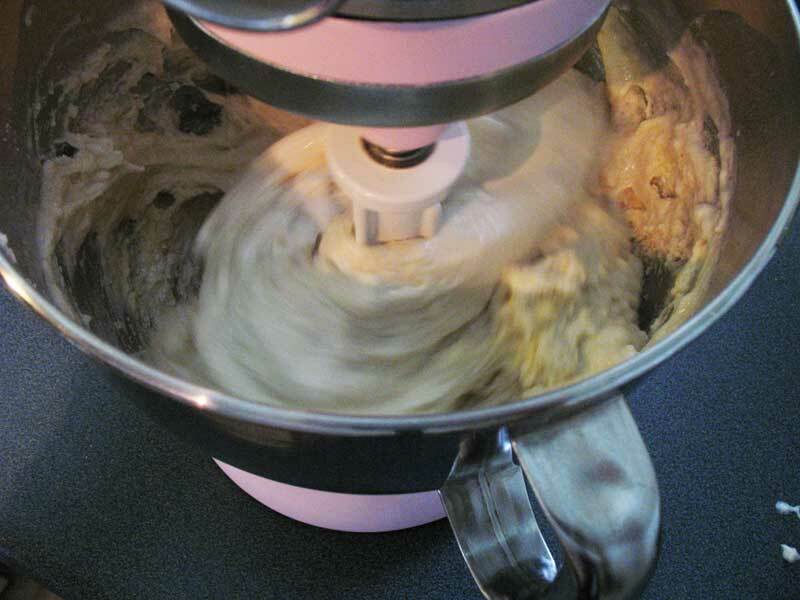 This dough is somewhat wet so it should be easy for the mixer. After mixing a few minutes, you’ll note gluten strands developing. When the dough is well mixed and smooth, stop the machine (or your arm if you’re mixing by hand) and let this dough rest, covered, for about 45 minutes or until it doubles. 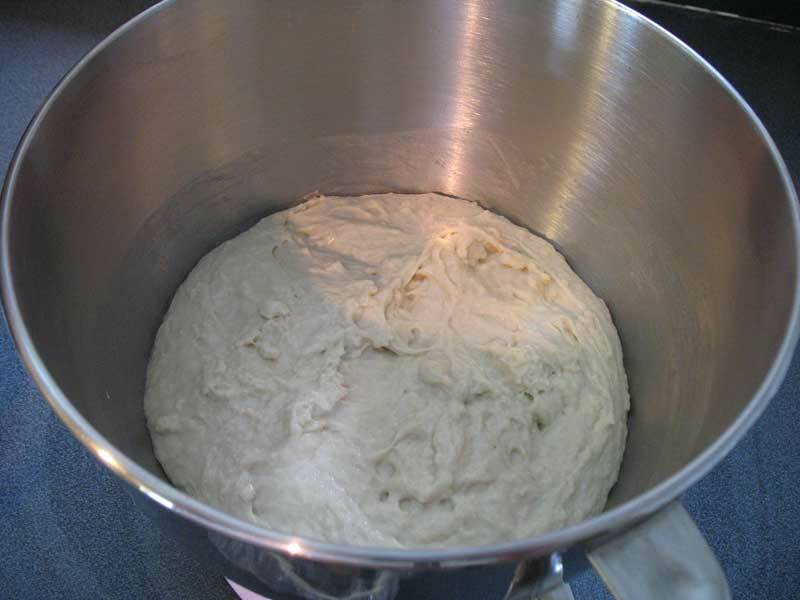 Once it has doubled add the baking powder in water to the dough and mix again until this is well incorporated and the dough is “small” again. 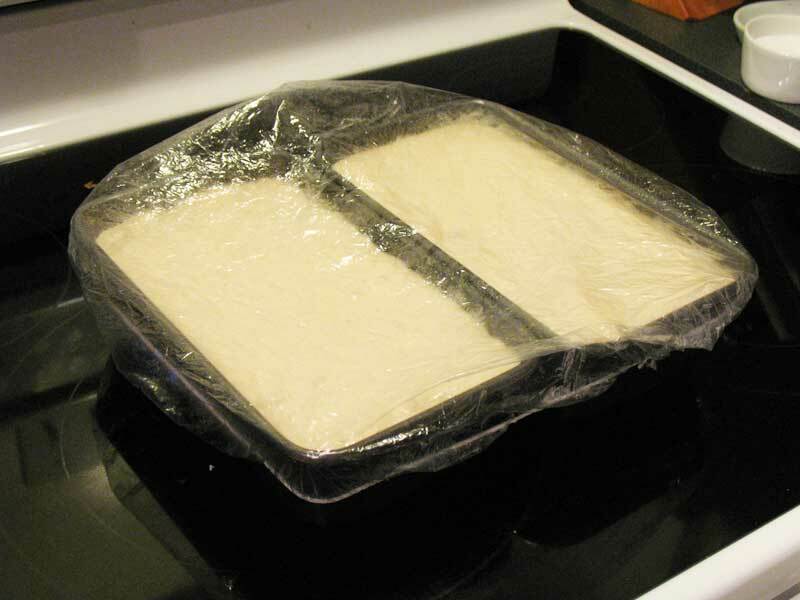 You are now ready to transfer the dough into two loaf pans. (Sorry, failed to get a pic of the doubled dough and putting into the pans). Let these rest, covered until they fill the pans, about 60 more minutes. At about 40 minutes, fire up the oven to 375ºF so it will be hot by the time the rising is done. Important: regardless of the times mentioned, always go by what the dough is doing, not by the clock. In my case, the panned dough took a fair bit longer than the expected 1 hour final proofing, more like 2.5 hours before it reached to what you see above. This is most likely because the sourdough I used hadn’t quite had a chance to go from it’s 100 gram size to 500+ grams so it had a fair bit of catching up to so. But it would have stayed on the counter to grow until it reached double as required. At this point, the oven is ready and the shelf was placed in the center ahead of time, we’re not doing a “hearth” bread so no steam required. Left to cool in the pan for about 5 minutes, they are then gently taken out and put back on the rack to cool for 45 more minutes. Finally, it’s time to slice and check the insides. Beautiful! I toasted these slices up and they tasted really, really good. 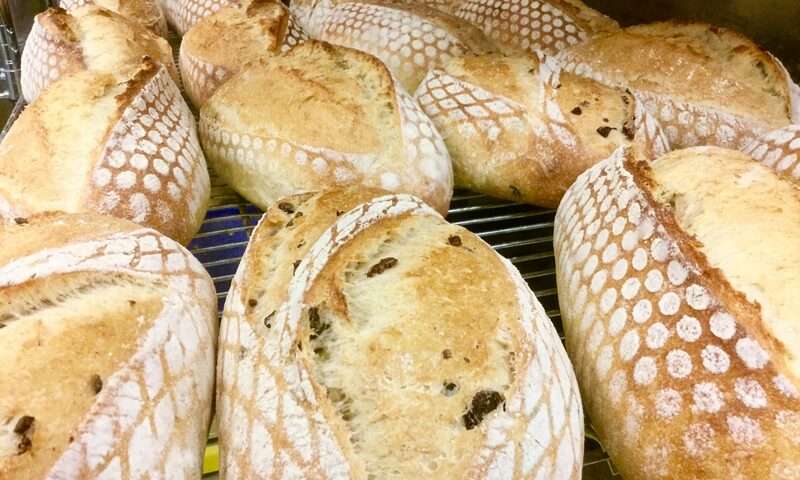 The texture was great, the right openness of crumb, that little bit of slightly chewy. It could have been even better if I had some way of splitting a slice instead of cutting. I’ll probably see if the dollar store has “Afro” combs with good tines. Of course this will be used only for splitting bread. Or perhaps I have a suitable salad fork somewhere in the depths of a kitchen drawer. the flavour, in spite of the missing crispy crannies, was excellent. Can’t wait to see if it changes for tomorrow. I’m afraid the loaf won’t have a lot of time to “mature” much further than that; it’s already half gone in just “testing”. 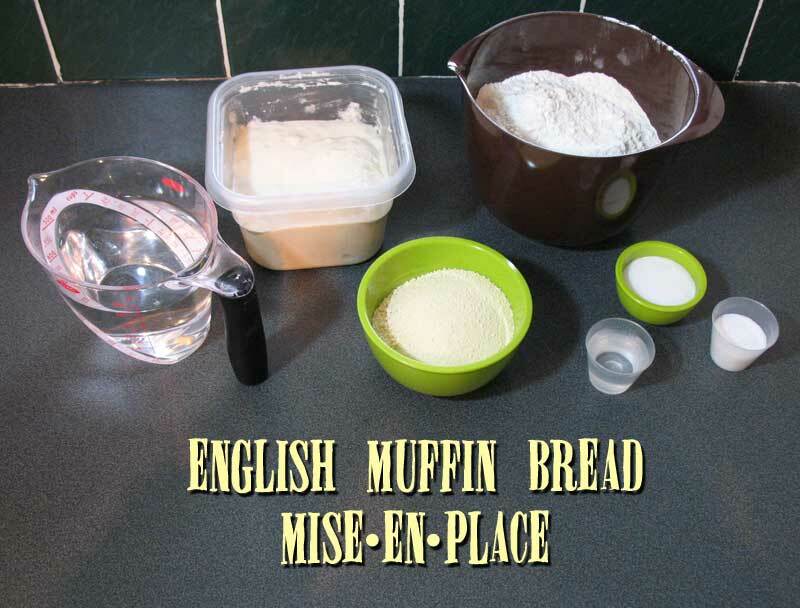 This is dead simple to make and a lot easier than cut up round english muffins baked on a griddle. 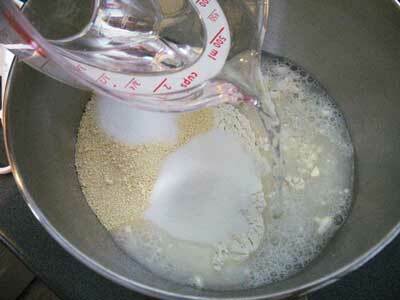 You’ll need 540 grams (about 2 cups) of starter so expand your refrigerated Mother starter the day before if needed. Slice/split it somewhat thin, about a half inch. Too thick and it will take too long to properly toast up. There’s no kneading involved. I repeat: NO KNEADING. This is a plus for many people. Make this, it’s really easy and relatively fast. There’s also a regular yeast version of the recipe here if you don’t have a sourdough starter. As always, please feel free to comment away! I’m surprised about the baking powder addition. Double acting? Is that what gives the bread it’s characteristic holes? I’ll definitely be trying this in a week or two (I’m still in Indian mode). With two loaves out of the oven were does it all go? You’re not eating those all by yourself, are you? Hey, glad you finally made it over! You need to fire up a blog of your own too, I’m dying to see al the intriguing, off-the-beaten-track stuff you make! Doesn’t need to be a “step by step” 50-photo epic like this, just a write up/description of the process and a pic of the final result would be awesome. Baking powder? Nope, baking soda. I was wondering about it too, it asked for just 1/4 teaspoon, a very small amount. Loaf #1 (or equivalent) goes to me and Punkin and usually half of it vanishes in “taste testing” pretty much immediately. The other loaf goes into the freezer and comes out when we’re nearly gone through loaf #1. So far, that’s been the typical process. Two loaves of bread is plenty for two people over a week’s time. Leftovers get cubed up and tossed into a bag in the freezer and eventually turned into bread pudding at some point. Ya know, I really want to do one. I started the webpage for my kids as a primer on how to do it. I’m still working my way through Dreamweaver and HTML, so I’m like, to do it now I need to use iWeb but if I want something snazzy, I should wait till I work out how to build a (good) page with DW. For a blog, you don’t need any fancy programming, just grab the latest version of WordPress, upload (as long as you have access to a database) and install. The extras, like page style and such is just a matter of finding the right template you like. But the actual “blogging” itself is dead easy once you have the software installed. If your site has cPanel, it’s even easier: you can likely install in one click. No requirement for DW, iWeb or any such thing, for the blog, anyway. For the rest of your web site, perhaps. I think you’d have a hoot blogging about your culinary creations. If you have a digital cam, you’re set! There are no bread/Punkin photos in existence, so none have appeared here. I’ll send you a shout this week about help with the blogging. Thanks. 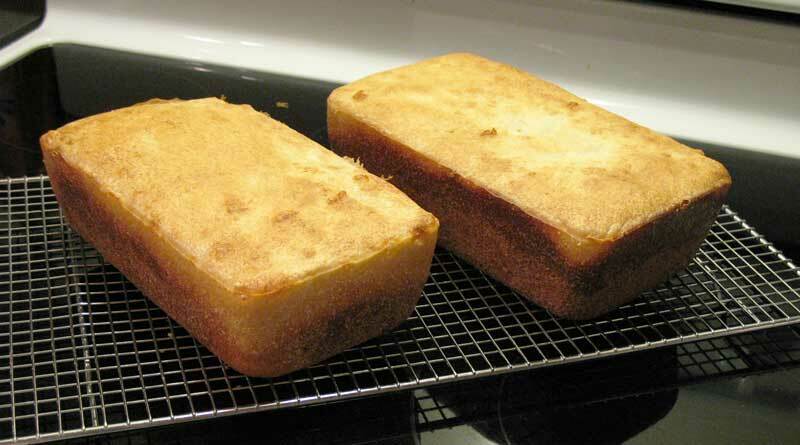 Previous PostPrevious Corn Bread: Breakfast in a slice.